Now, many of us would shake our heads ‘Yes!’ as we hear this, and yet what happens when a relationship goes bad? What happens when we are given the choice of choosing productivity or relationship? When Jesus Christ came to earth the Jews were under Roman rule. This rule over their lives was heavy- handed and in many cases without justice. The people were suffering. Not unlike many of our own lives today. The Jews therefore believed that when the Messiah came he would do away with the oppression from their land and lives. They thought he would fix all that was wrong in their worlds. But of course, Jesus did not do that. Instead, Jesus came with a different plan. Instead of focussing on the external difficulties and problems Christ directed our attention to our internal heart difficulties. He addressed the problems within our own souls. But because of this difference in priorities from what the people wanted to what Christ brought, many of the people at that time missed out on Jesus. They couldn’t see what Jesus was offering due to their preoccupation with their own idea of a savior; they simply wanted their lives fixed. While we at CCI are certainly not the Christ, we find ourselves running into a similar thinking as we travel and minister in various areas. 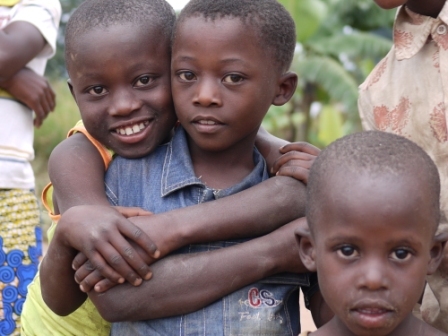 Often it is assumed that we are bringing money to help with various projects and tangible needs within communities. We understand this assumption for it has been the way of many missions organizations over the years to, for instance, build buildings and feed orphans and clothe widows. And while there is nothing wrong with this kind of work it is not the work we are called to. Rather, Capturing Courage International is called to spiritual transformations, heart healing, church renewal, and leadership development. 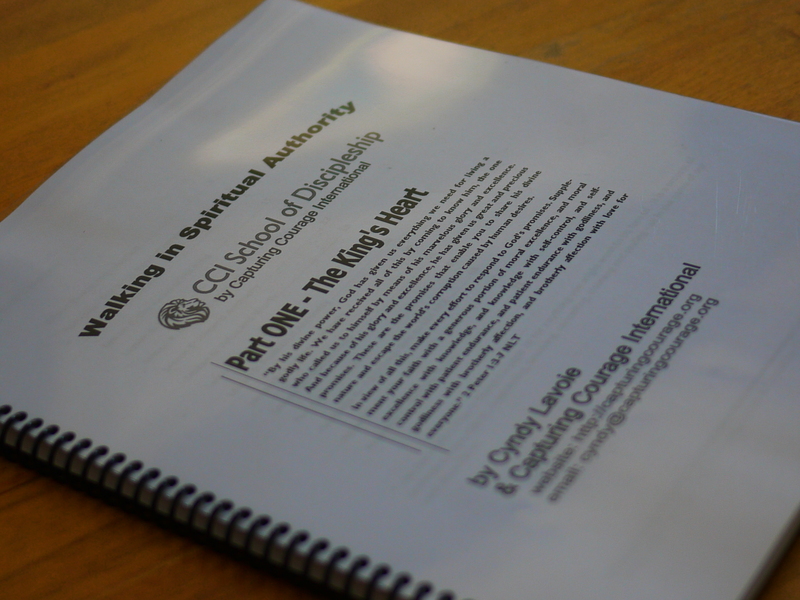 CCI is focussed on the internal state of our hearts before God. We therefore sometimes feel like Christ might have felt when the people kept expecting him to fix their lives when in actuality he had something much bigger in mind. We at Capturing Courage believe that God’s priority is not about fixing our lives, rather God’s priority is about entering into our lives with us, growing us stronger in the face of difficulty, and developing us into people of integrity, character, and holiness. This is the particular work of Capturing Courage Int’l. We come alongside encouraging and equipping, growing and developing your inner core as a person, a leadership team, and a congregation. If this is something that would be of value to you then let’s continue in relationship and communication and the Lord will indeed meet us mightily as we wait on him together. At Capturing Courage International we bring a three-fold braid of ministry. These following three dynamics strengthen and create a work that is not easily undone. These three focuses create a strong bond in the Lord and with each other. This begins through email, Facebook, and phone calls. First we get to know one another. What are your callings and visions from the Lord? How is the Lord leading you? 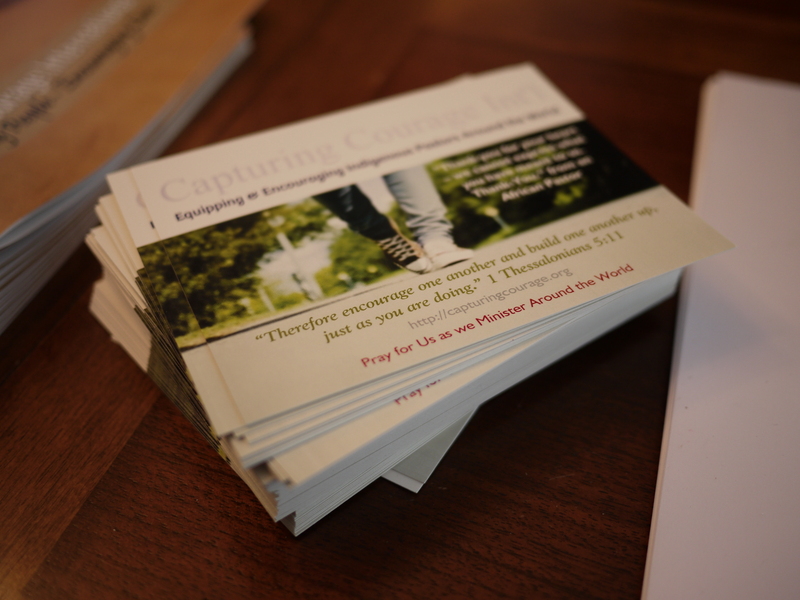 Together we begin to pray about what the Lord might have us do in person alongside each other. what do we do with sin and failure? how might our churches reflect the heart of God? Once we are on the ground, living alongside you for a time, eating what you offer us, travelling as you travel, we have opportunity to discuss the many difficult and tangible questions facing leaders and churches today. A big part of the work of Capturing Courage is the continuing development of relevant materials to encourage and equip both leaders and their congregations. We bring the heart of God to our lives. We bring forth issues of compassion, mercy, gratefulness, faithfulness and more. Other Specific resources and answers to dilemma’s and questions found on the field as we travel from place to place. Serves the hearts, minds, and lives of the body of Christ. To get this and more about what to expect from us at Capturing Courage Int’l CLICK HERE for a PDF you can download and print for your reference. I have a hard time with those intent only on when Christ is returning. Though my own calling is in many ways to prepare the bride for Christ, so that we don’t shrink back but welcome forward, the preoccupation with when this will happen has always seemed a waste of time. Just today I read someone’s comment about how going to war with Syria just might bring about the rapture sooner. Really? Towards what good end I might ask. I’m a firm believer that the quality of our experience in heaven will reflect the manner in which we lived for Christ here on earth. If we are avoiding life here, how will we find life there? If we are only longing for escape and that golden shore, who are we leaving behind? What have we left unfinished? We considered painting these words on a wall at my church, and I was upset and angry when that didn’t happen. Don’t we want him to come? I railed. I was out of sync with the Lord’s timing first of all, but even more important, I was out of sync with the Lord’s heart. And this is what gets me about longing for heaven. It’s pretty selfish. When we are not able to settle into the presence of God here on earth, when all we want is escape to some nirvana, when all we can think about is what will be, I truly wonder what we will get. About the same time that the Lord reprimanded me for my selfish heart, I began to understand that the work we do on earth will in some way impact eternity. The days we invest here become investments in eternity. Eternity is not the end of now as we know it, it is the continuation of now. So, here in the now, what are we investing in? Is your life given over to the things that God gave himself for? Or are we selfishly looking to run away from our messed up world? God didn’t run away. Still isn’t running away. Neither should we. Indigenous pastors are at the forefront of community care and development. Taking orphans under their care, building schools, arranging for water developments, and more, they are serving and caring 24/7 in ways that outpace many (I should say most) of us in the west. With limited resources much is being done and the level of faith and trust in the Lord’s provision in the mix is something we can all learn from. One of our colleagues in Kenya was part of a Pastors Conference a few weeks back, and during the time there an elderly woman died. Turns out she had under her care three orphans with now, nowhere to go. This man took the children to his mother’s, with the last of his money, and managed to get home to Nairobi, albeit tired and hungry (he had spent his travel money on a funeral for the woman). Talking with him this morning we found that he had just been back to the interior of Kenya, to his Mom’s home to ensure that the children were beginning their term of school with everything they needed. This is but one example of the ongoing and unexpected, but privileged work, that indigenous pastors are accomplishing in the name of our Lord Jesus Christ. With an attitude like that, anything is possible, and much will be accomplished in and for the lives of these children. This and more stories like this is what makes it such a privilege to be serving indigenous pastors, they are after all forefront leaders in their communities and it is simply an honor to bless on them. Please keep these children and their benefactor in your prayers.